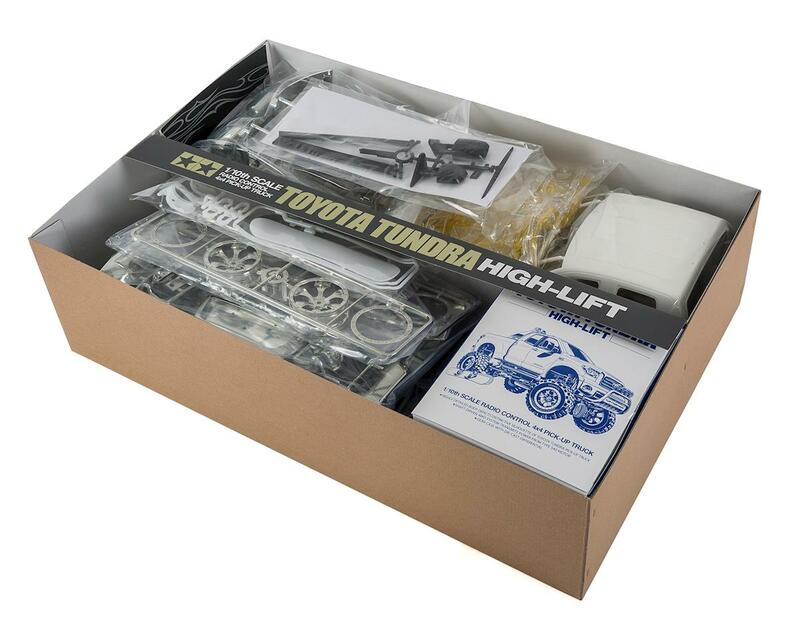 The Tamiya Toyota Tundra Highlift 4x4 takes the Tundra's modern looks, and combines it with the classic Tamiya Highlift chassis to give you a great looking truck with scale performance to match. 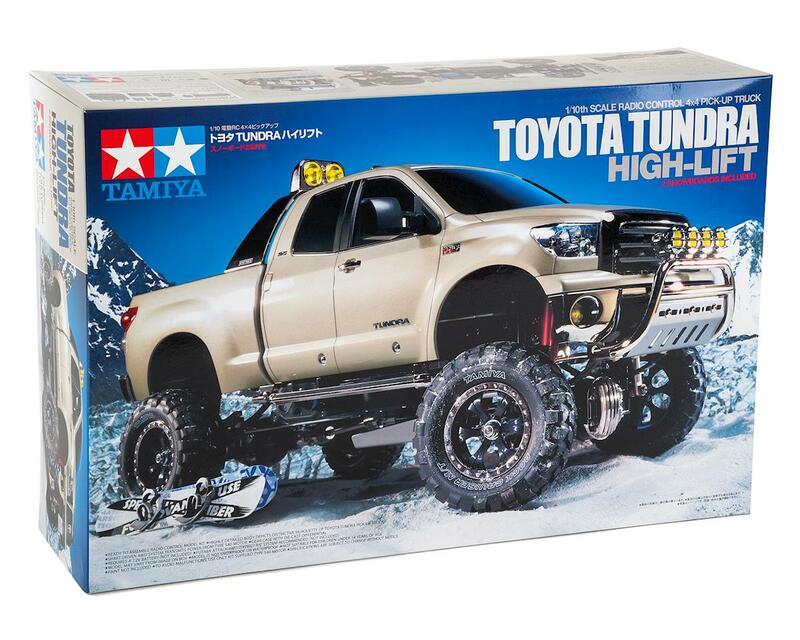 Tamiya's truck model of the Tundra comes as an accurately reproduced Double Cab version and includes a three speed transmission, as well as the option parts needed to raise the body in the same manner as the actual pick-up truck! 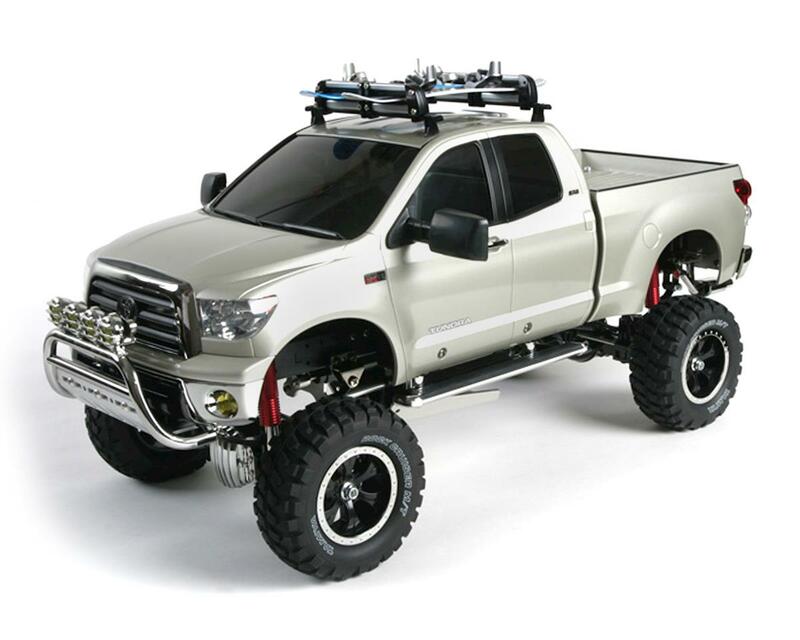 Distance (Top of tire to top of wheel well): 1 1/2"
Snowboards: 6 1/4" x 1 1/4"